Home / Whole Nursery / How Many Legs Does An Octopus Have? 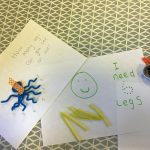 This week in the Little Bumble room as part of mathematics, we have been looking at how many legs are on an octopus. 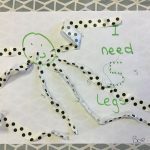 First we decided how many legs we would like our octopuses to have and then we stuck them down. We then traced over the correct number on our picture using great fine motor skills with our pincer grip.